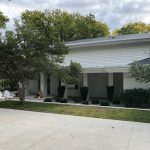 Local firm Berlowitz & Commander designed this home for hydraulic engineer, C.E. Bretz and his wife Mamie, on five wooded acres that once belonged to the Borne Dairy Farm. 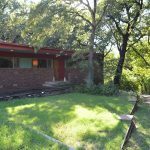 The home is perfectly sited atop a hill overlooking the acreage, which also includes a century-old rock horse barn. 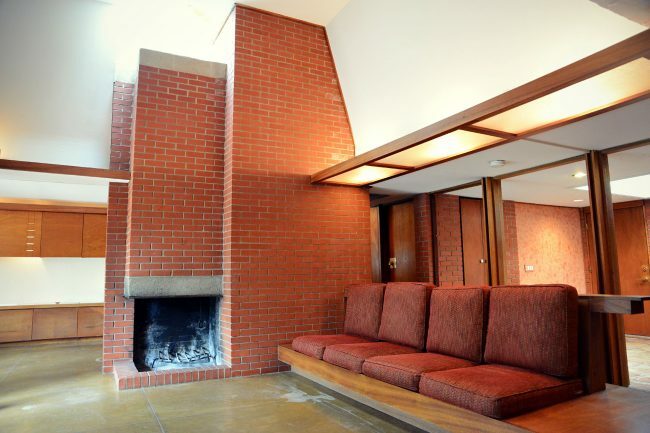 This home was built for the Sprehe family, but architect Robert Lawrence of the firm Noftsger & Lawrence lived in this home for over four decades until his death in 2011. 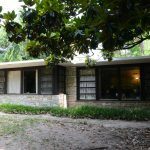 His wife remained in the home until 2016, when new owners heavily remodeled it. 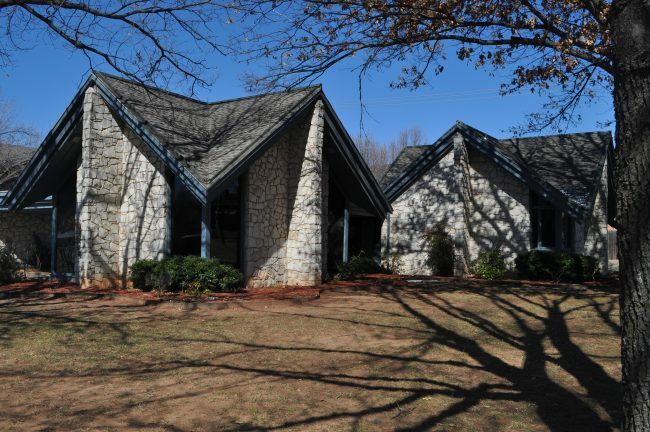 R. Duane Conner designed this home for his sister and her family on a hillside lot in suburban Tahlequah. 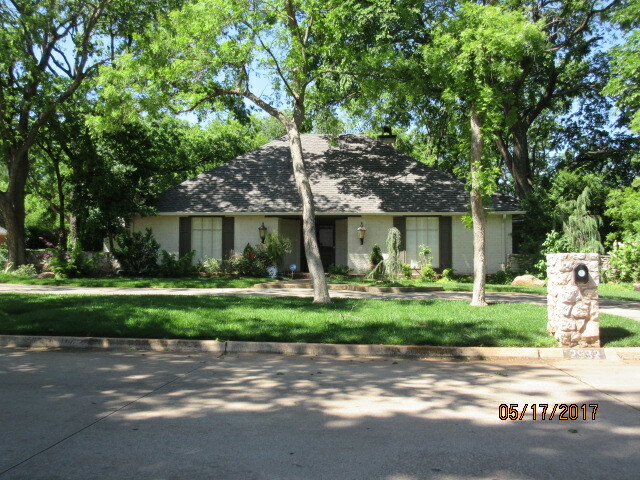 The family remained in the home until the 1990s and now its third owner is completing a sensitive updating of the home. 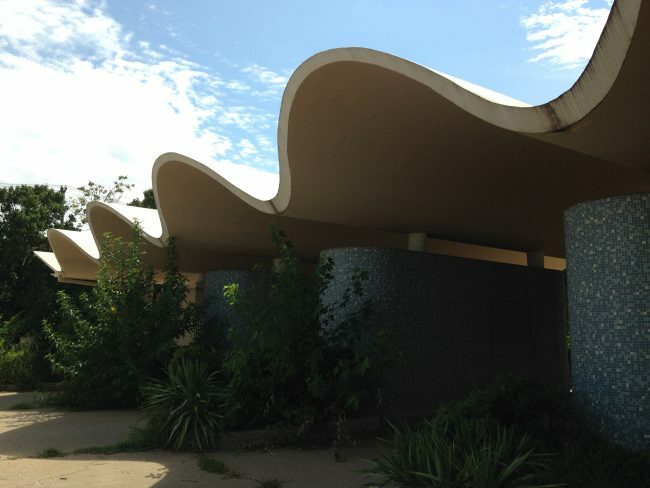 The stunning organic modern building that housed Fox & Horn restaurant made the eatery a true destination spot in Oklahoma City. 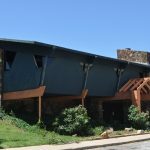 Soon after its opening in 1974, The Oklahoman called the new dining spot “one of the most beautiful restaurants in the city,” and the design was so integral to the success of the establishment that the building was included in early advertisements for the restaurant. 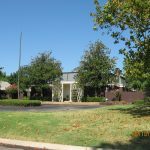 After becoming a variety of restaurants over the years, the 9,400 sf building was auctioned off in 1991 and became medical offices. 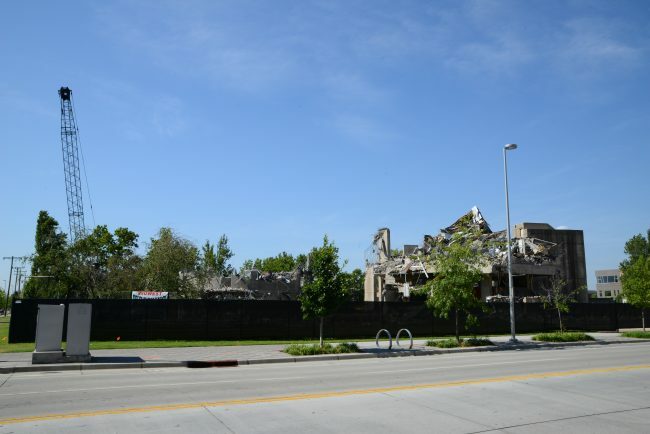 In the May 2013 tornado that swept through SW OKC and Moore, the building sustained damage, and the old and still glamorous Fox & Hound building was demolished in the summer of 2015. 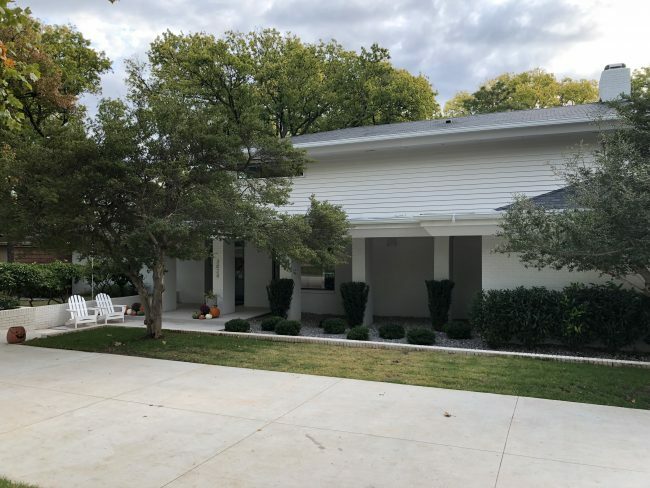 Engineer Garth Kennedy designed this home for himself and his family on a heavily wooded lot overlooking a creek, and he remained in the home until moving to an assisted living center in 2016. 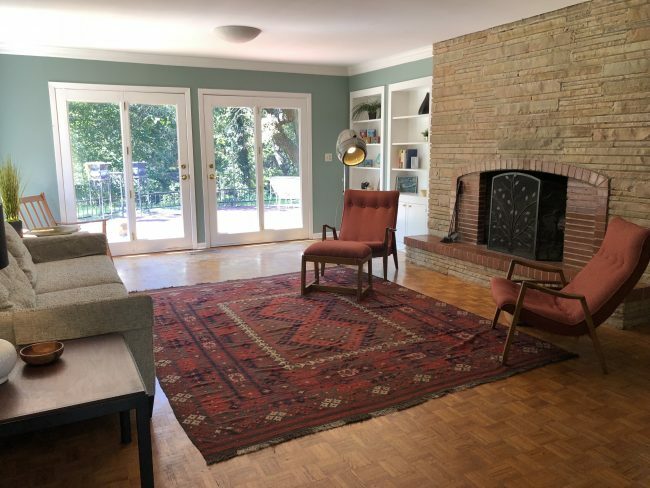 A buyer purchased and all of its contents the home the same year and recently completed a thoughtful and sensitive restoration of the house and outdoor spaces. 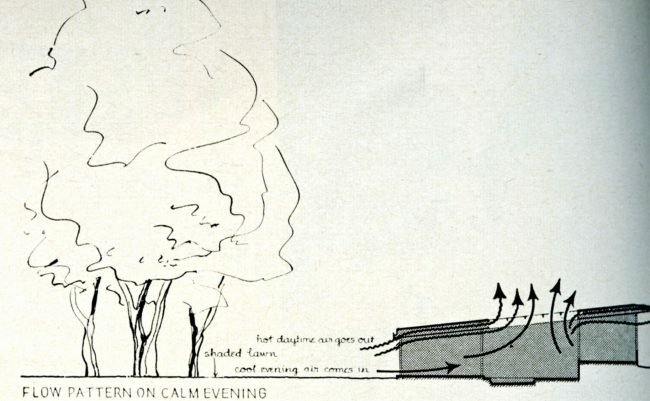 Garth Kennedy these site studies in the 1950s, likely during the design process for the home. 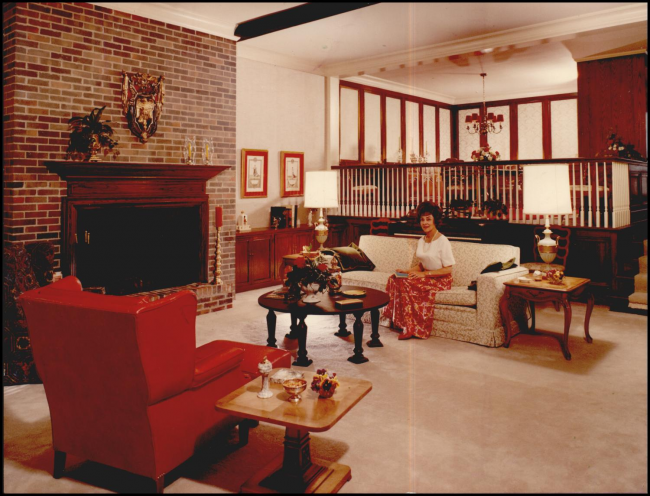 This home was designed for Jewell Bainbridge, who was the second wife of movie star, Tom Mix, and it was featured in the April 1948 issue of American Home magazine. 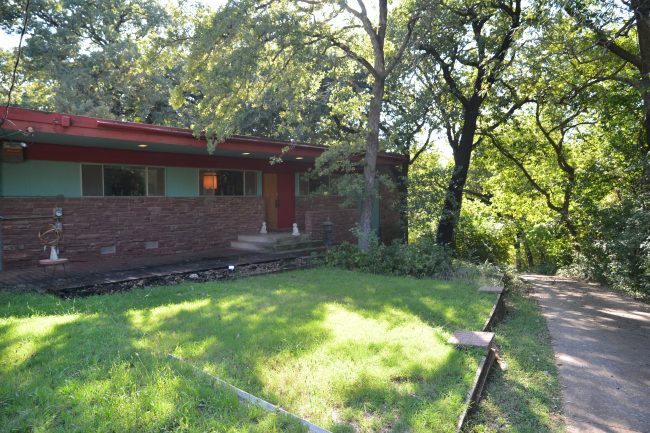 Architect John Bozalis designed this mid-century modern home in Edgemere Park for Johnny Papahronis, who owned the beloved Lunch Box restaurant in downtown Oklahoma City. 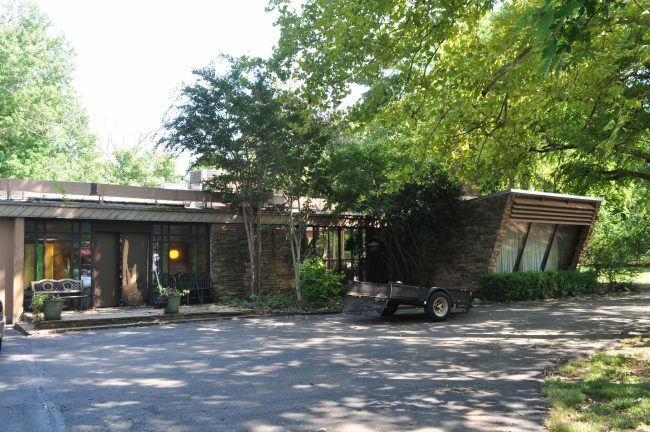 Frank and Merle Buttram constructed their grand, 30 room mansion in the heart of Nichols Hills in 1937 and after their deaths, a group purchased the estate in 1975 and donated it to the Oklahoma Museum of Art. 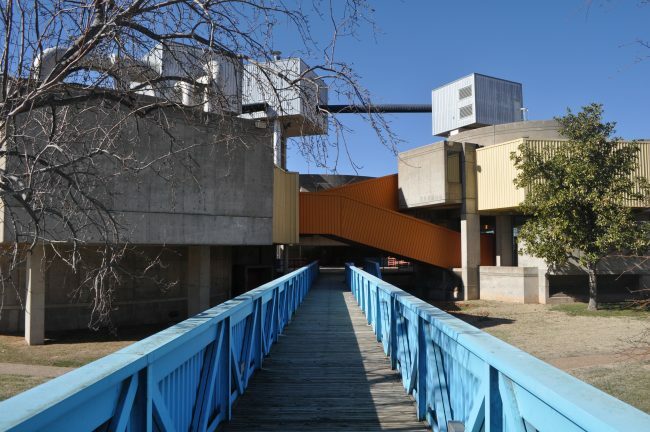 In 1989, the museum merged with the Oklahoma Art Center to form the Oklahoma City Museum of Art, which is now located downtown. 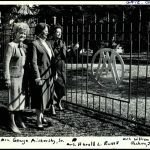 This gate was designed to advertise the Oklahoma Museum of Art and it is still in place, even though the former museum is once again a private residence. 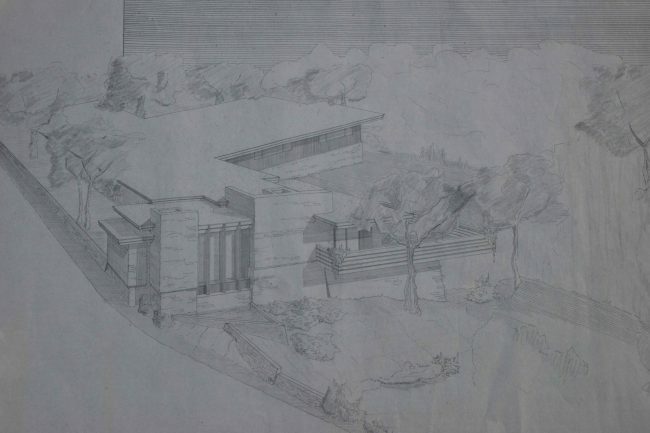 The first two pages of the following plans belong to the Dannold House, which is located in Quail Creek in Oklahoma City. 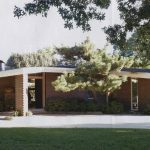 One of the first mid-century modern homes constructed in Central Oklahoma was this house designed by OU professor and university architect, Richard J. Kuhlman. 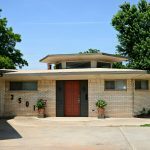 In the days before air conditioning, his creative design, which included an interior courtyard, allowed for cool breezes to enter and circulate around the house to keep it cool during hot Oklahoma summers. 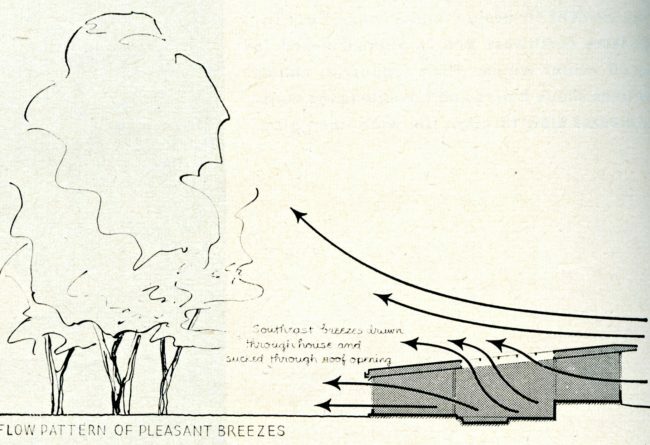 The design was so innovative that it was featured in several national publications. 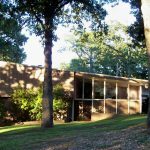 This home was George Seminoff’s first big project after graduating from OSU, and it featured a leather floor in the library, hexagonal-shaped rooms with custom built-in storage, and spectacular views of the pool and backyard from nearly every room. 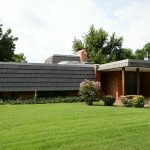 This unique home was built in phases beginning in 1959 when recent OSU graduate George Seminoff constructed a giant, one-room home for himself. 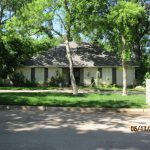 As he married and had children, he expanded the home to include a bedroom wing and a second story den and children’s rooms. 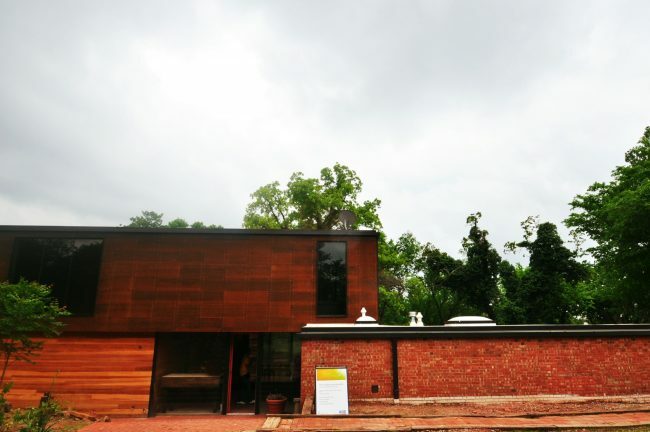 The completed home received an AIA award and was featured in Living Now magazine. 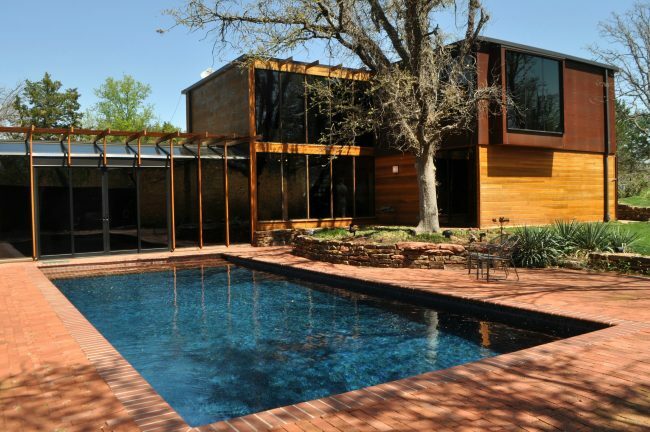 Dean Bryant Vollendorf designed this home, which he dubbed the Mustang, while he was an associate professor at the University of Oklahoma. 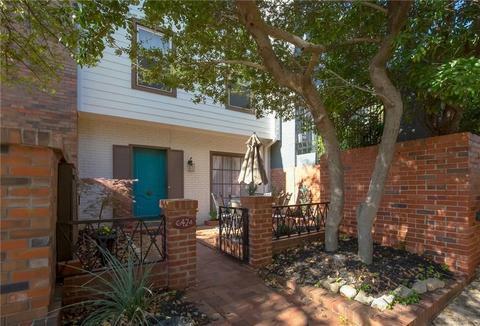 The bright and airy home included an indoor/outdoor atrium, three bedrooms, and two baths in 1,400sf. 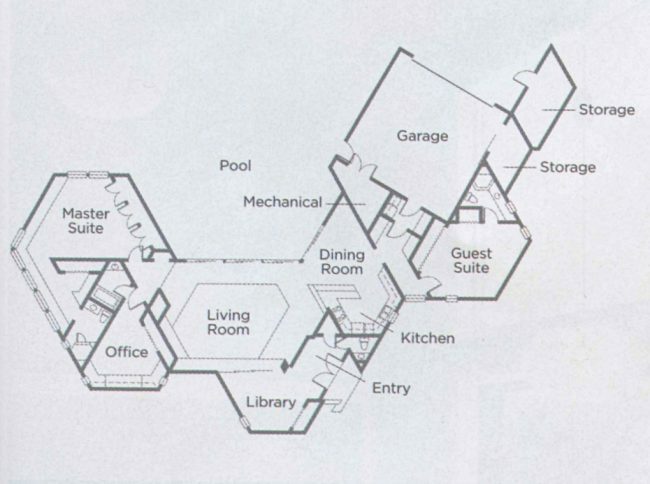 During the ’60s, Vollendorf showcased many of his designs, including the Mustang, in the New Homes Guide and sold plans to interested readers for a small fee. 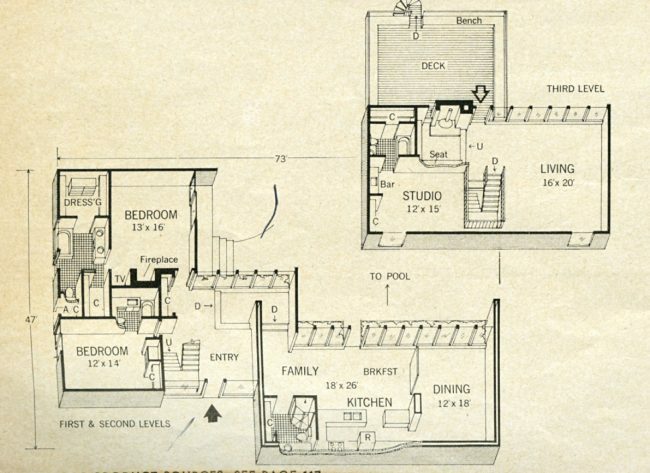 The rendering and floorplan below are from the Winter 1967 issue of the magazine. 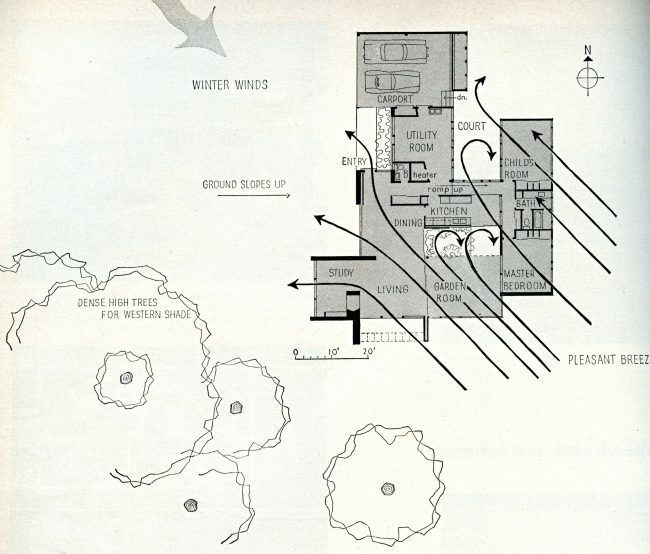 Also, go here to read more about Vollendorf and his association with the New Homes Guide. 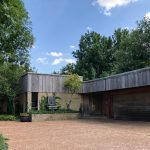 To seamlessly blend old and new, Coston mimicked the A-frame roof design of the Land Run-era farmhouse in the new addition. You can read more about this award-winning design here and here. 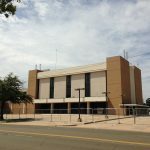 The original, one-story Central National Motor Bank was completed in 1959 and designed by the same firm, Wright & Selby, that was also hired 15 years later to add a second story to the structure. 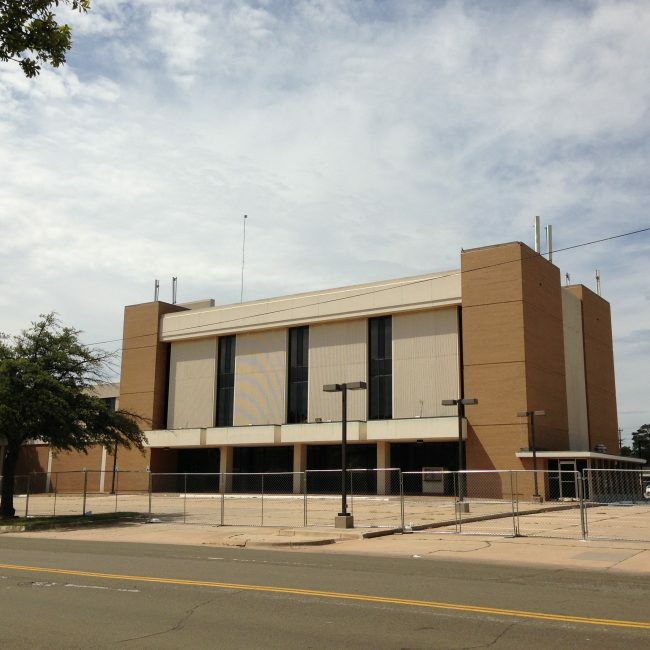 The bank building and annex drive-thru across the street is now owned by Oklahoma City Public Schools. 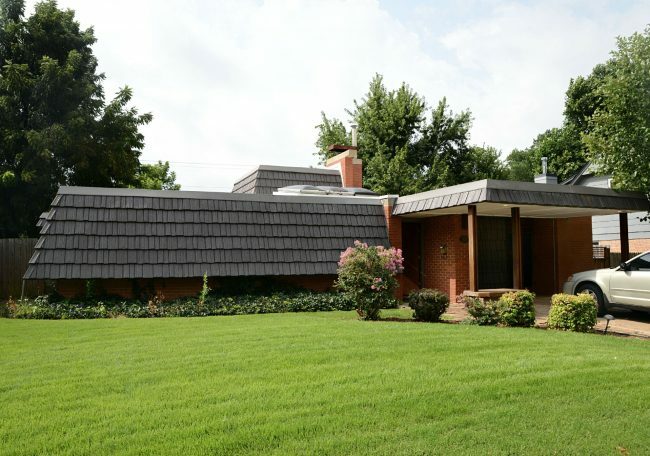 This home was designed by OU professor Fred Shellabarger. 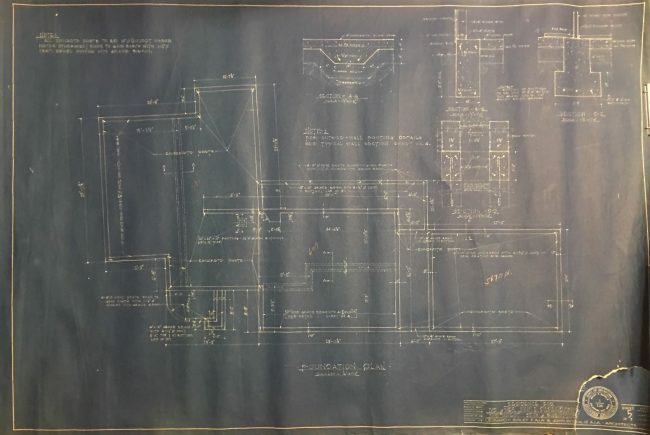 Citizens State Bank opened for business on May 27, 1948 and, as one of the only suburban-based banks, it grew so rapidly that the directors looked to expand within a few short years. 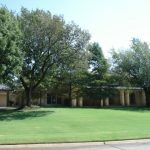 They chose a site at the corner of NW 23rd and Classen where the old Jefferson School had recently closed and hired Bailey Bozalis Dickinson & Roloff to design a thoroughly modern building that would be a true bank of the future. 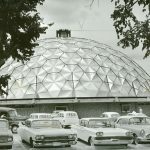 Robert Roloff returned with plans for a Buckminster Fuller-inspired geodesic dome, which proved to be just what the directors were looking for. 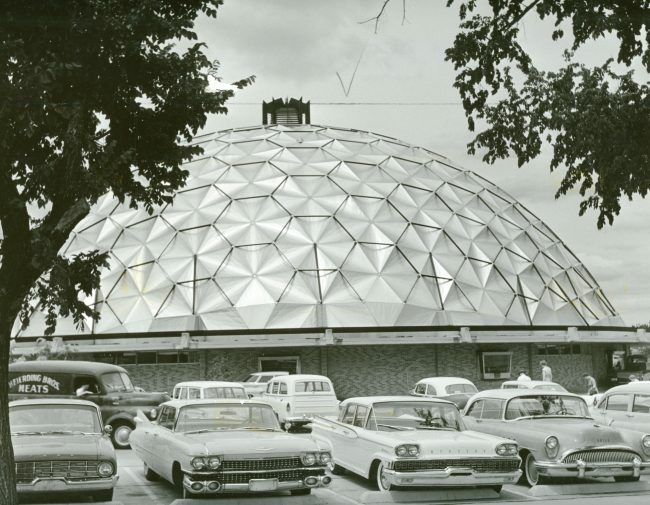 The Gold Dome opened to great fanfare in 1958 and remains a beloved architectural icon today. 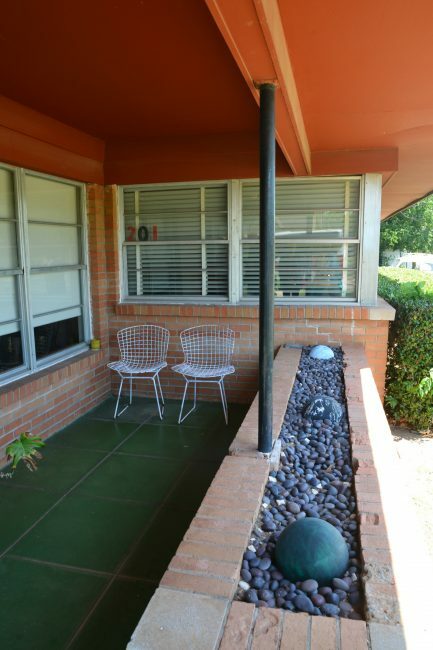 Gus Dannhauser was a builder who began to dabble in residential design in the mid-1960s. 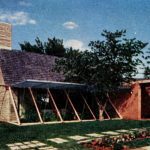 This interesting hexagonal home home was likely his first and perhaps only completed design before Dannhauser’s untimely death in 1969. 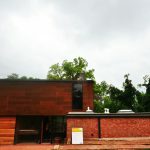 With its buildings of varying widths and heights, brick-paved streets, and gaslit street lamps, the quiet and secluded Jamestown complex, located on NW 63rd between Independence and Drexel was modeled after the historic Georgetown in Washington D.C. 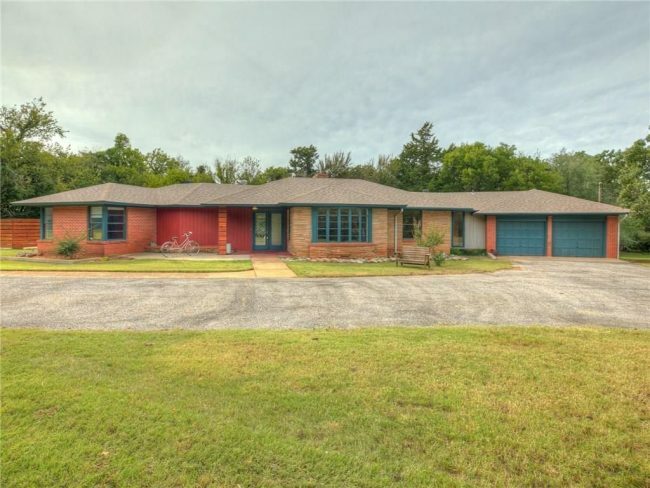 It was the first condo development in Oklahoma City and was originally intended to consist of 130 mostly two bedroom units in the $25,000 to $40,000 price range ($195,000 – $310,000 in 2018); however, demand wasn’t as high as the developers hoped and only 40 or so were actually constructed. 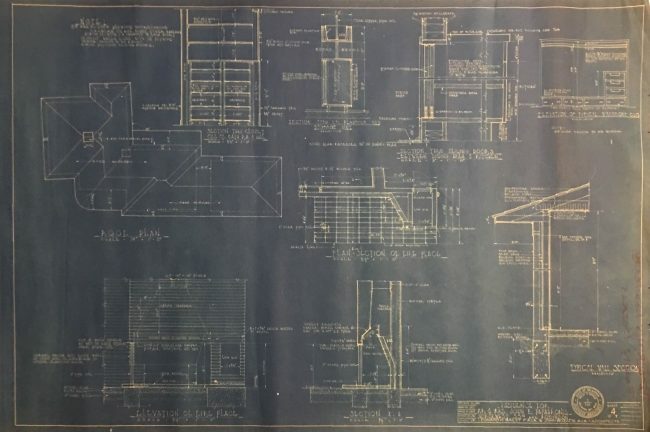 Dr. Larson Keso wanted a timeless design for his new orthodontic clinic near Baptist Hospital, and he wasn’t satisfied until architect Bill Halley presented his seventh drawing for the building. 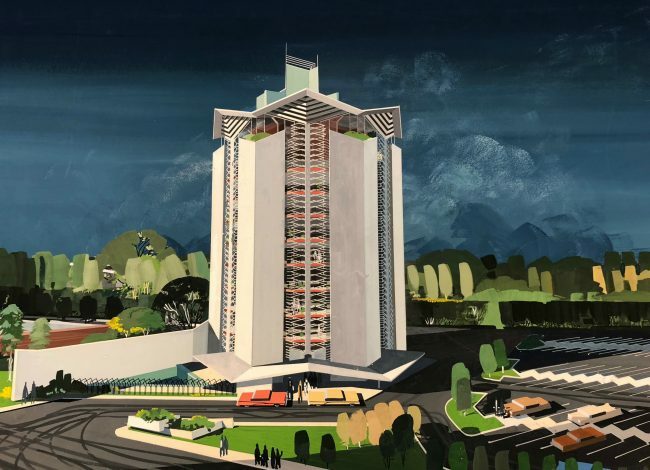 Keso’s discriminating tastes were certainly rewarded with this chic piece of organic modernism that is as timeless as he hoped it would be. 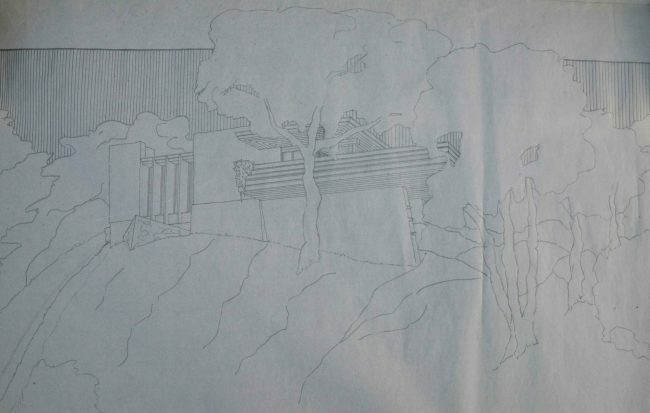 The drawings in this collection include some of Halley’s early designs for the clinic. 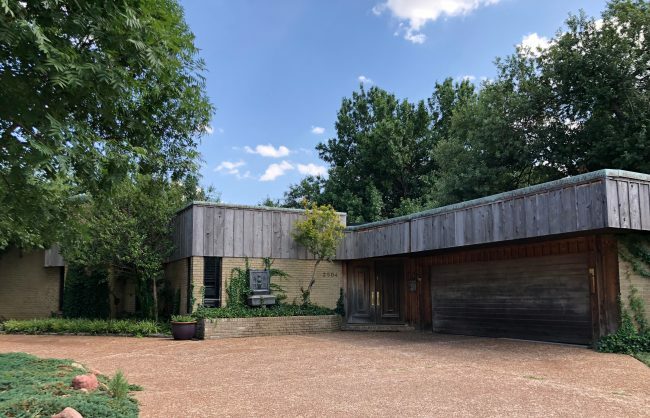 Located on a large lot in the heart of Nichols Hills, this home was designed by architects Norman Berlowitz and A.C. Commander for Willard Miller and his family. 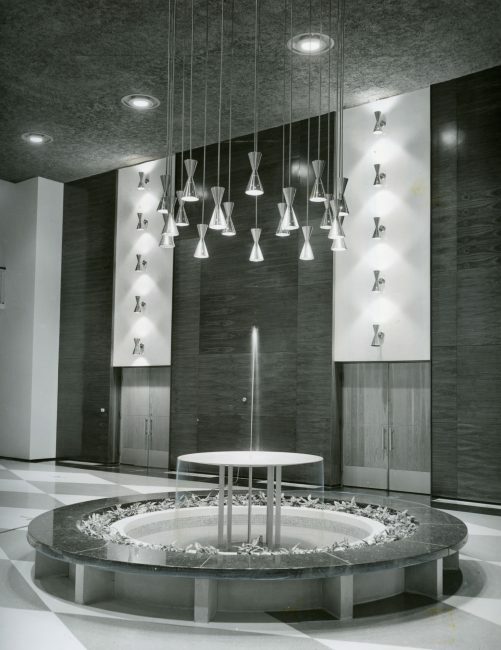 The 24-acre Lincoln Plaza was developed in two stages beginning in 1967 by John Lewis, president of First Fidelity Corporation. 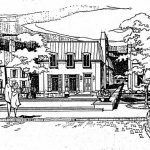 Eager to revitalize the increasingly seedy Lincoln Boulevard, Lewis believed that the complex would breathe new life into the area with its trademart, hotel, and office complex. 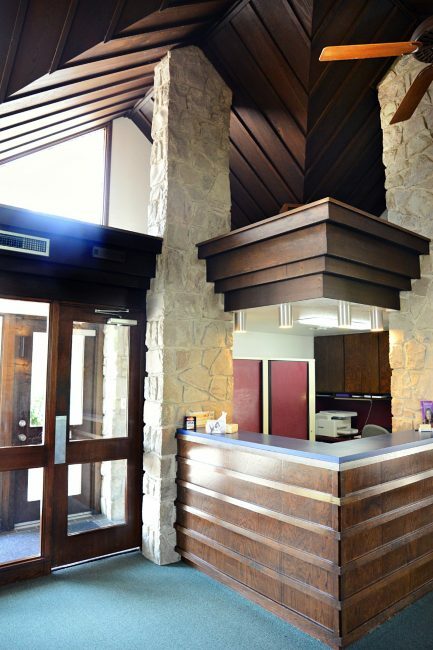 He hired the architecture firm of Halley Riek & Associates to design the complex. 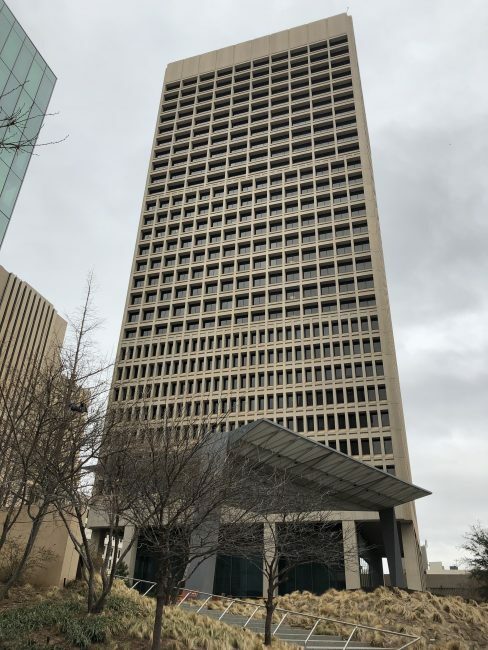 Although the trademart was never built, the rest of the complex opened to great fanfare in 1969, with Hertz and Wilson Company as anchor tenants in the office building. 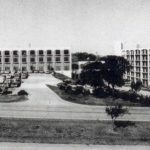 Boasting the most modern amenities in town, the hotel quickly filled up with patrons, including Elvis Presley, and its meeting rooms and restaurant became a second home to many local politicians and businessmen. 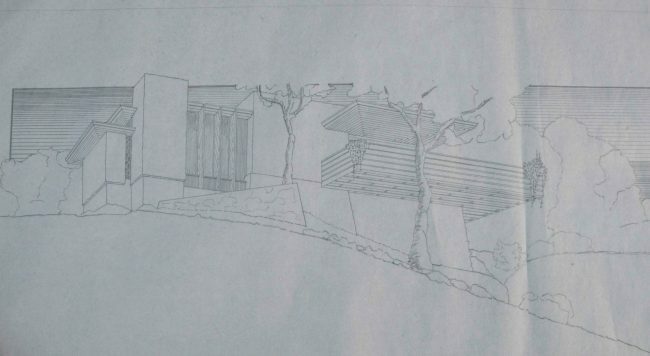 The drawings in this collection are preliminary site studies for Lincoln Plaza. 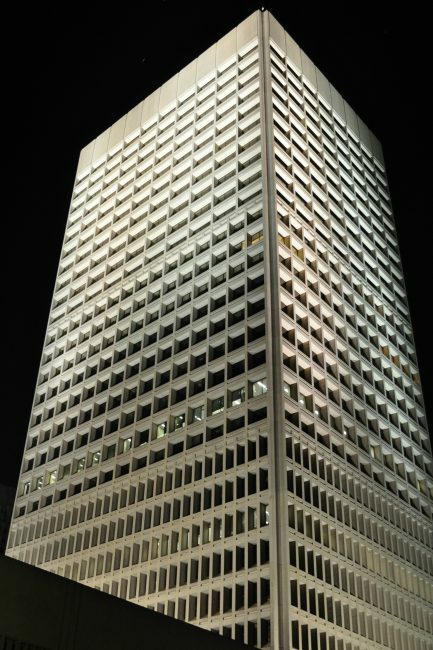 The 30-story Kerr-McGee Tower was designed by Pietro Belluschi with Frankfurt Short Emery & McKinley as associates. 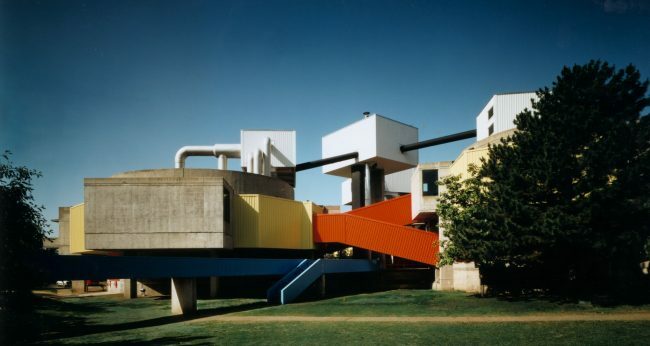 It opened in 1972 and features windows that vary in size as the structure soars to the sky. 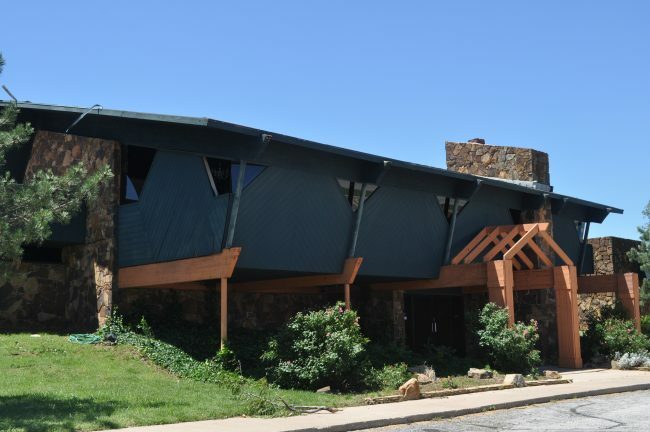 Over the years, the tower has received numerous awards, including the “25 Year Award of Excellence" from the Oklahoma AIA. 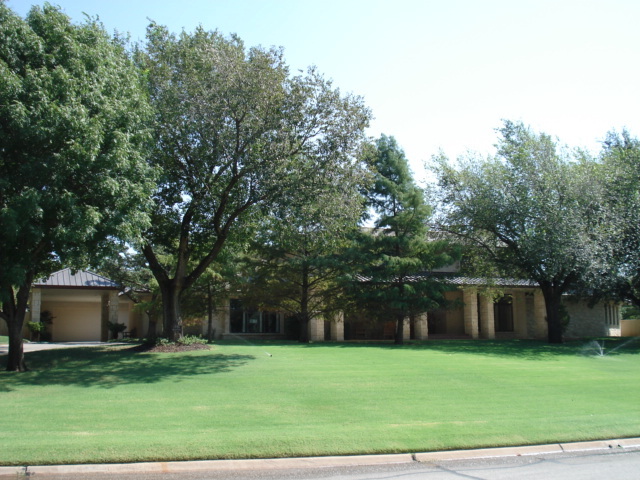 SandRidge Energy purchased the building in 2007 and extensively renovated the entire campus. 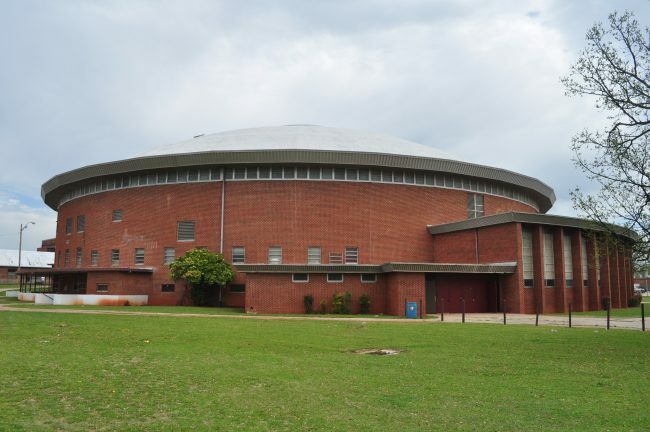 The state-of-the-art domed fieldhouse was such a novelty when it was completed in 1955 that it was featured in Oklahoma Teacher magazine and a 1950s-era book put together by the Oklahoma City Board of Education called Oklahoma City: Capital of Soonerland. 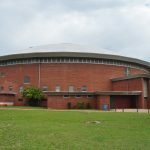 Today, the fieldhouse is still in use and hosts both high school and college-level activities. 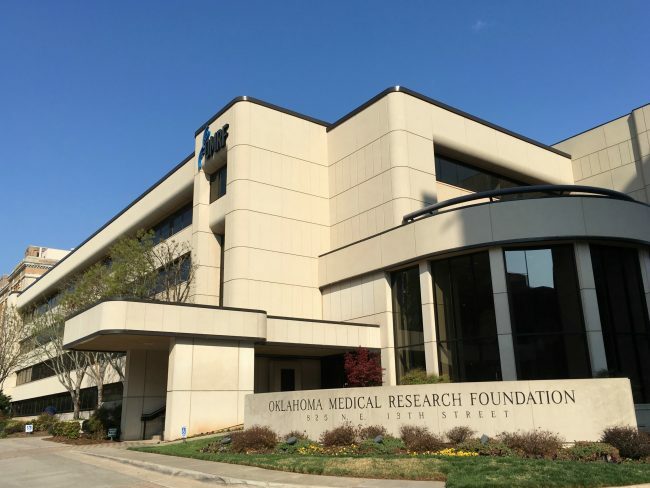 The Oklahoma Medical Research Foundation (OMRF) was established in 1946 as a non-profit biomedical research institute. 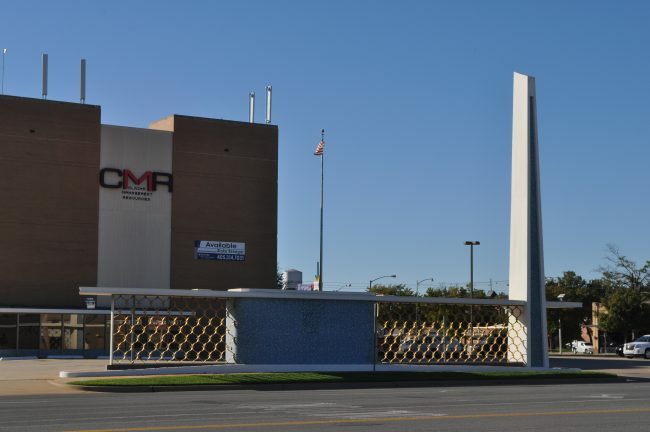 Over 7,000 people throughout the state donated $2.25 million to construct this state-of-the-art facility, which was constructed by contractor, J. Bollinger and opened in 1950. 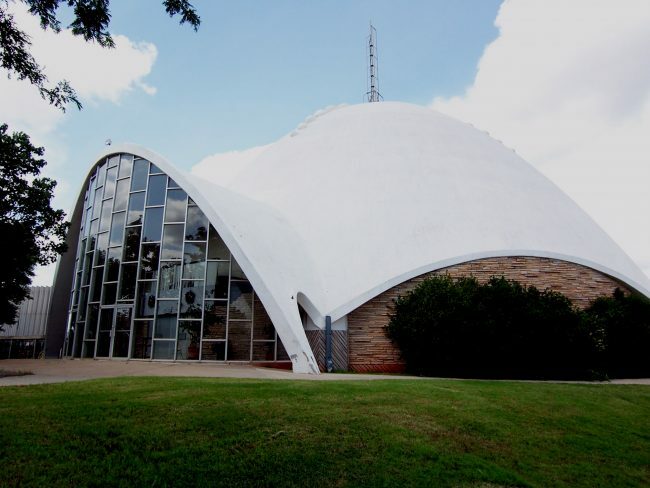 St. Luke’s is perhaps Oklahoma City’s grandest mid-century modern church and is a masterful piece of art and architecture. 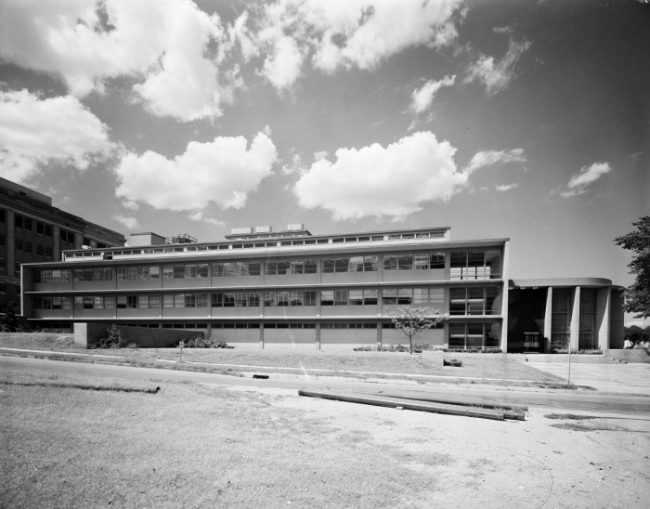 Architect Truett Coston began the project by designing the Education Building in 1949. 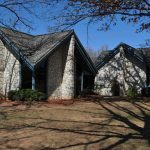 It was constructed the following year and the congregation used that space while Coston began designing the main sanctuary and chapel. For the sanctuary and chapel, Coston spared no expense and customized every detail, from the exterior Norwegian Blue granite where the name of the church appears in gold leaf to the three interlocking brass circles (called a triquetra) that make up the door handles, to the shellstone walls in the 1,800-seat sanctuary that are reminiscent of the fisherman who were the first apostles, to the 185-foot bell tower with a carillon of 42 bells. As for the 40-foot-tall stained glass windows that appear on both the north and south sides of the church, artist Robert Harmon captured various Biblical characters in magnificent modern detail. 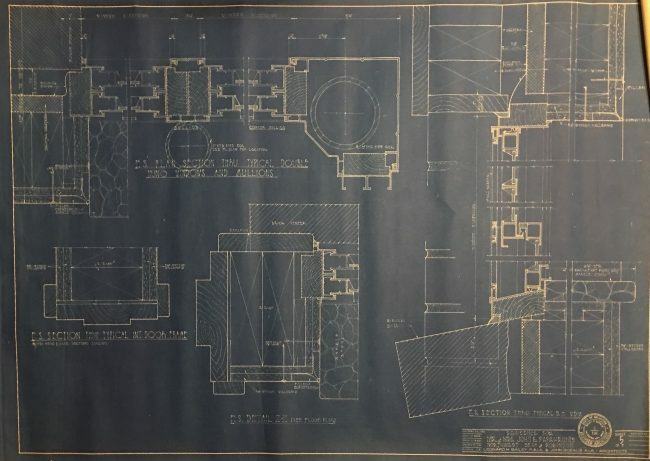 Also, because one of St. Luke’s parishioners was confined to a wheelchair and found it difficult to maneuver around the church, Coston became a real pioneer when he made the building handicapped accessible. 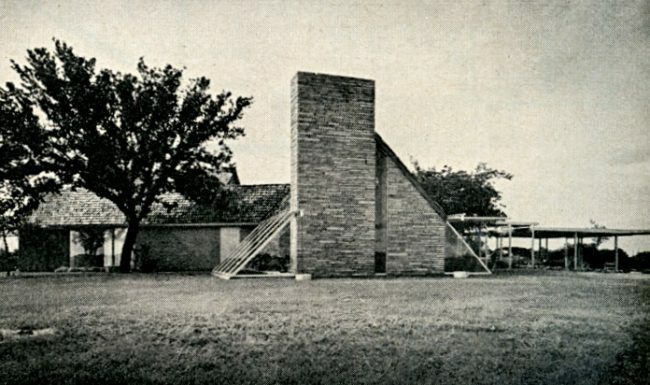 Today, the church is little changed and is as remarkable now as it was when it was completed in 1957. 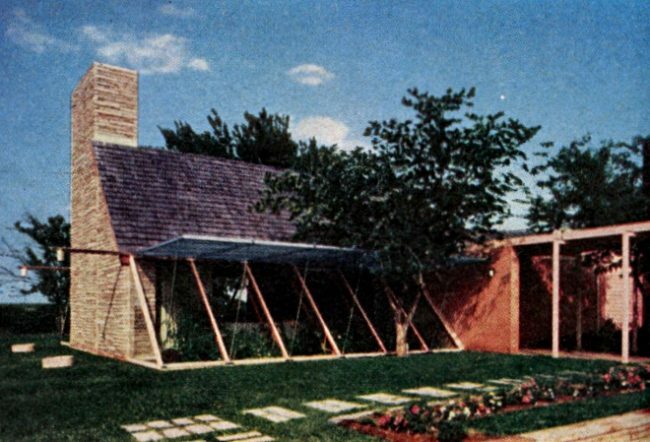 Go here to view a rare St. Luke’s brochure from that time. 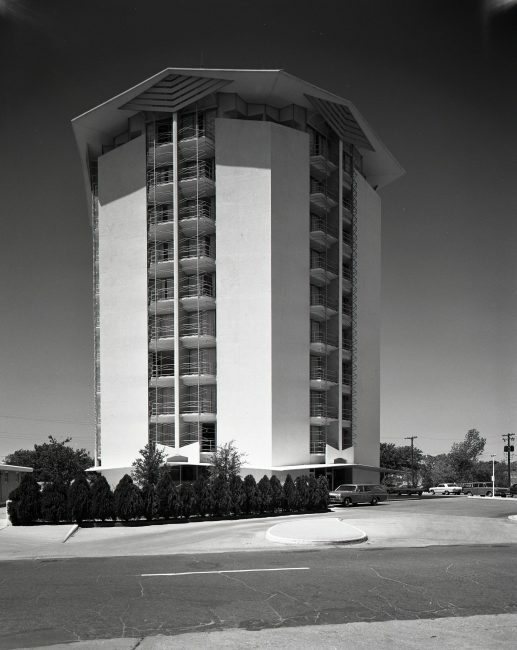 The 10-floor, hexagonal-shaped Plaza Tower Hotel was the first hotel built in OKC since the Skirvin Tower was completed in 1938. 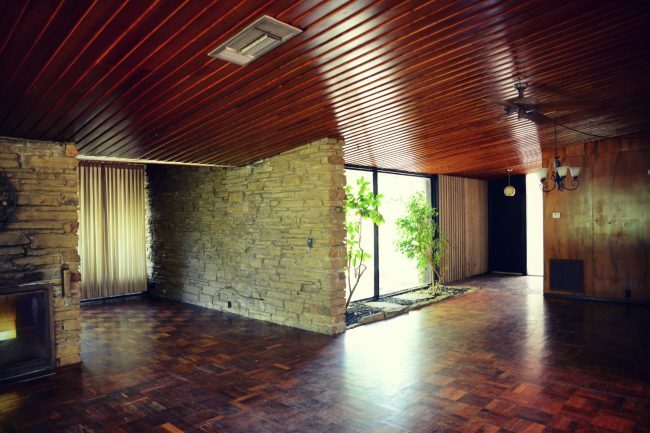 The building housed a generous lobby, dining room, and various shops. 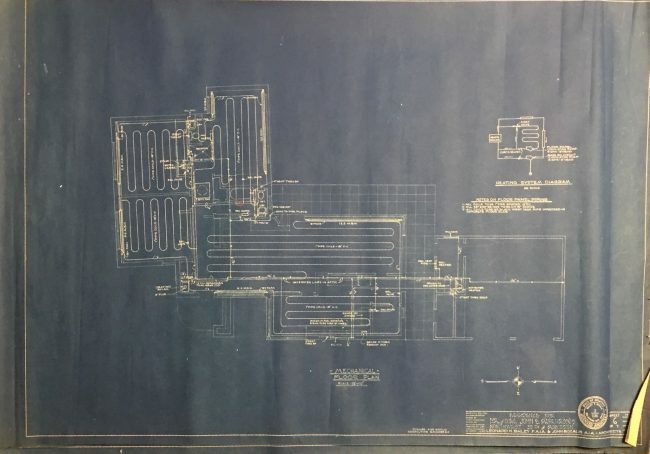 While it was constructed next to the ever-expanding St. Anthony medical complex and was the only upscale Midtown hotel, the Plaza Tower never really took off and, within a few years, was converted to office space and renamed the Shartel Professional Building. 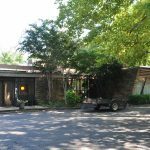 In 1986, new owners announced that the building would undergo yet another conversion, this time to an elderly living center, but the continuing economic downturn kept cash-strapped developers from pursuing the plan. 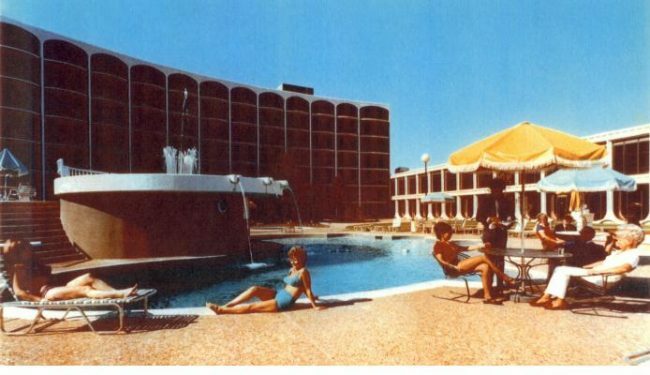 Two years later, OKC’s most modern hotel was unceremoniously demolished. 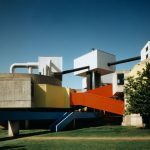 The site sat vacant for over 25 years until construction began on the LIFT apartments in 2016. 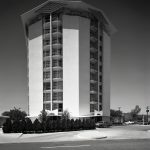 Go here to view a brochure from the Plaza Tower Hotel. 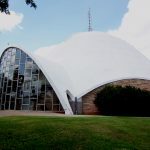 Even a near-decade before its dedication day, the distinctive eggshell-shaped dome of the First Christian Church prompted minister William "Bill" Alexander to dub it "the church of tomorrow." But it almost never saw the light of day. 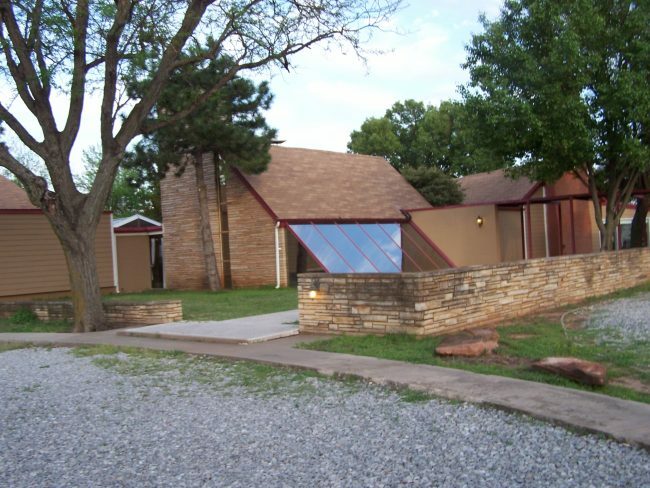 One of a campus of buildings designed by architect Duane Conner in 1956, the unique concrete shape with cutout arches had been deemed of questionable structural integrity by consulting experts. 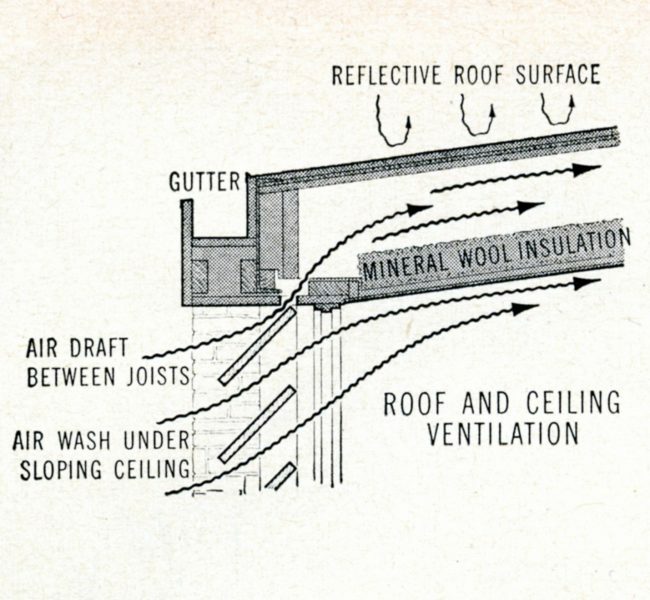 However, in early 1955, a representative of the American Concrete Institute convinced Conner to proceed. The interior arrangement for the 2,000-seat sanctuary also was considered unusual at the time. Although the First Christian Church congregation dates back to the 1889 Land Run, its first building (1894) was located at Third Street and Harvey Avenue. 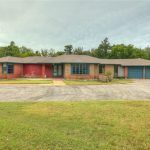 Two other locations were utilized before the church moved to its present structure, which cost $1.3 million and employed the specialized skills of 600 individuals. 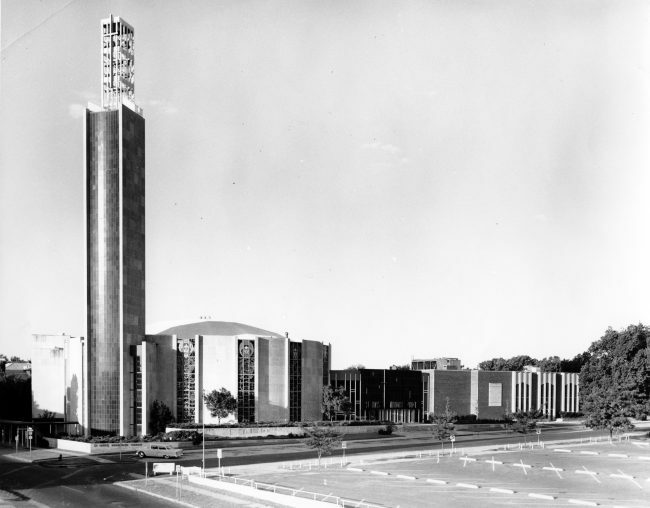 The original campus is completed by a 130-foot-tall bell tower; a circular fine arts building, containing the colored-quartz-paneled Jewel Box Theater; and a four-story education building constructed of high-pressure, steam-cured concrete blocks. 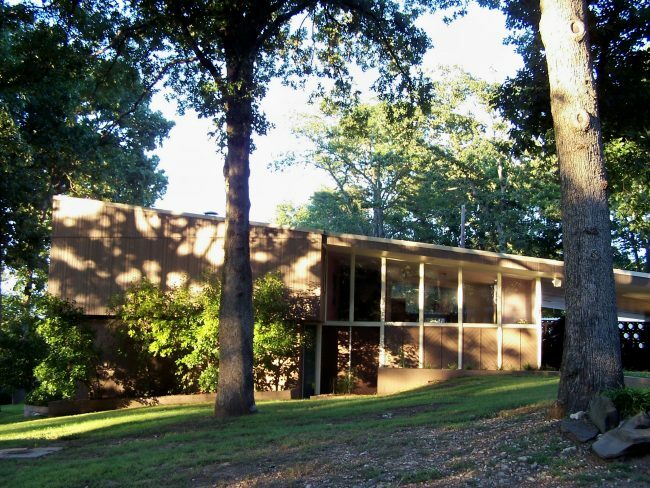 Go here to read a detailed history about the planning and construction of this mid-century modern gem. The Oklahoma State Capitol is the house of government of the U.S. state of Oklahoma. 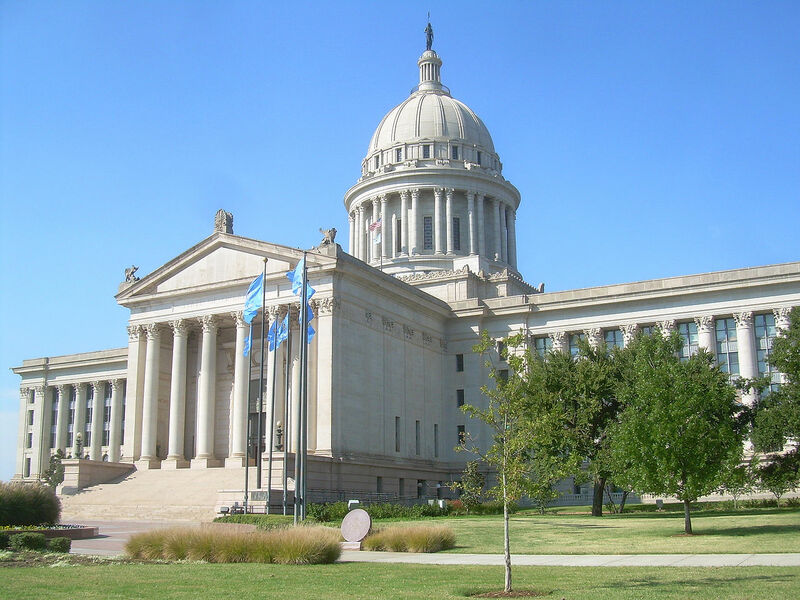 It is the building that houses the Oklahoma Legislature and executive branch offices. 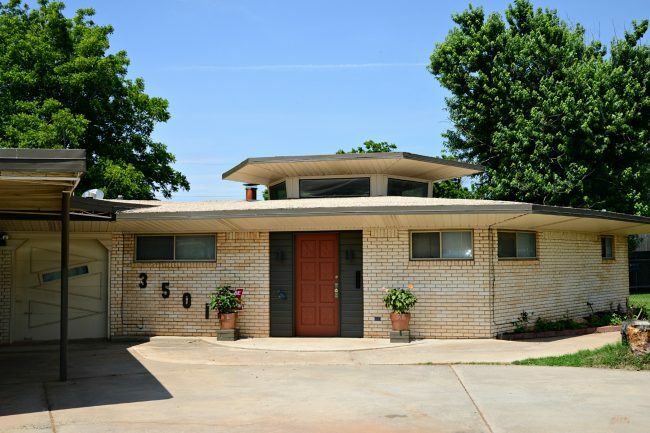 It is located along Lincoln Boulevard in Oklahoma City. 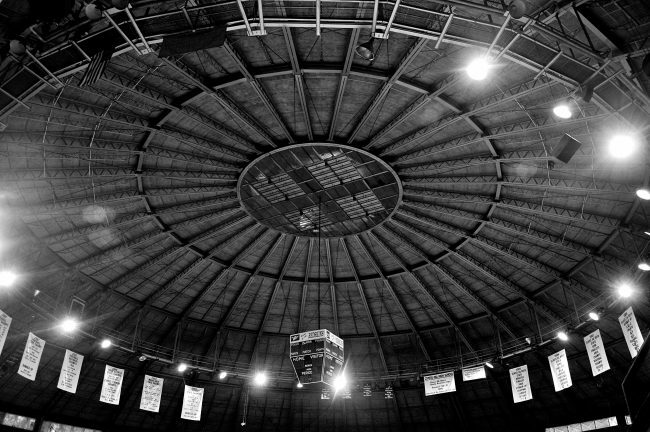 The present structure includes a dome completed in 2002. 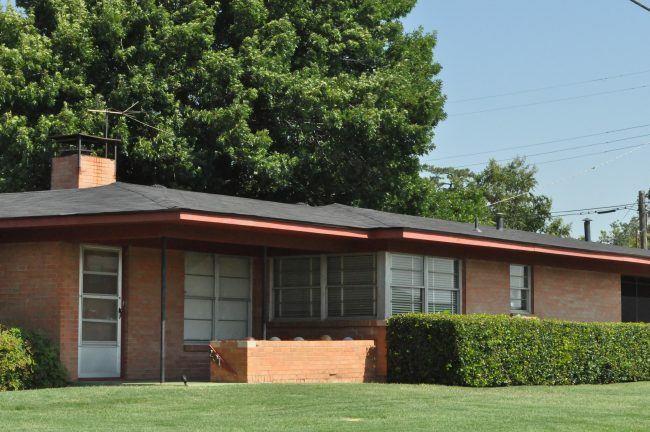 Oklahoma’s first capital was Guthrie, Oklahoma, but it moved to Oklahoma City in 1910. 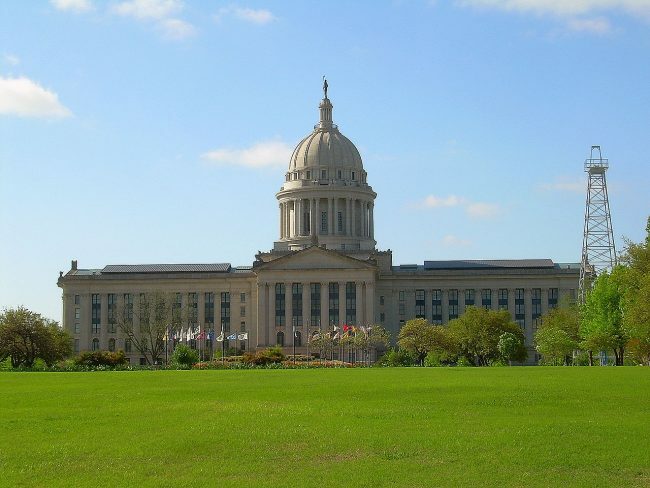 Construction began on the Oklahoma State Capitol in 1914 and was completed in 1917. 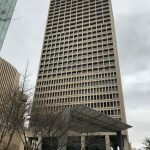 Originally, it housed the judicial branch of Oklahoma, but the state’s high courts moved most of their operations to the Oklahoma Judicial Center in 2011, leaving only the Supreme Court Hearing Chamber in the capitol building. 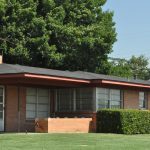 State government officials let voters decide on whether or not to move the capital to Oklahoma City. 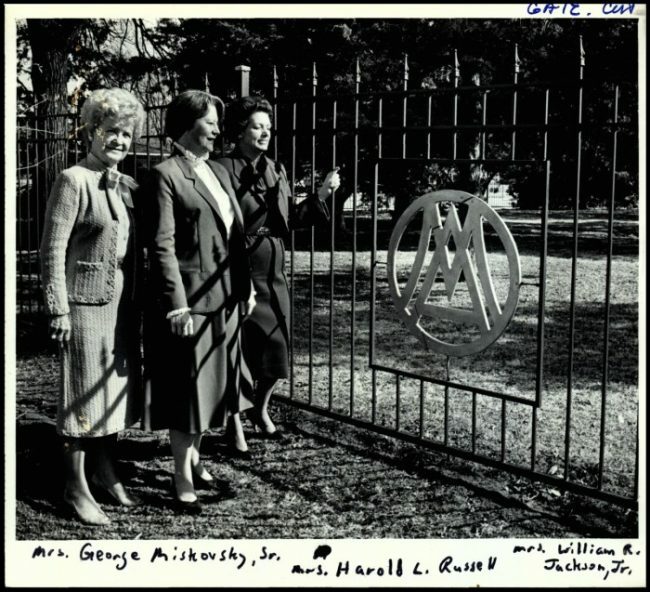 On June 11, 1910, the state seal was taken from Guthrie and moved south to Oklahoma City, where the Oklahoma State Capitol is located today. Lee Cruce, the second Governor of Oklahoma commissioned the architectural construction of the present day structure. 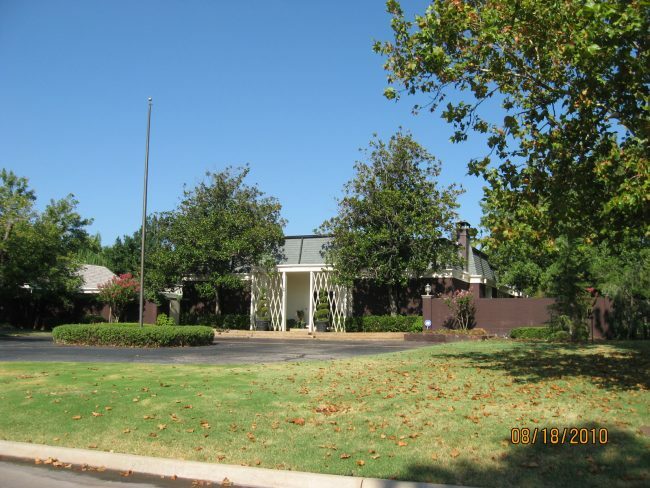 Prior to its construction, state government offices were housed in the Huckins Hotel in downtown Oklahoma City. Construction on the Oklahoma State Capitol began after a groundbreaking ceremony on July 20, 1914. 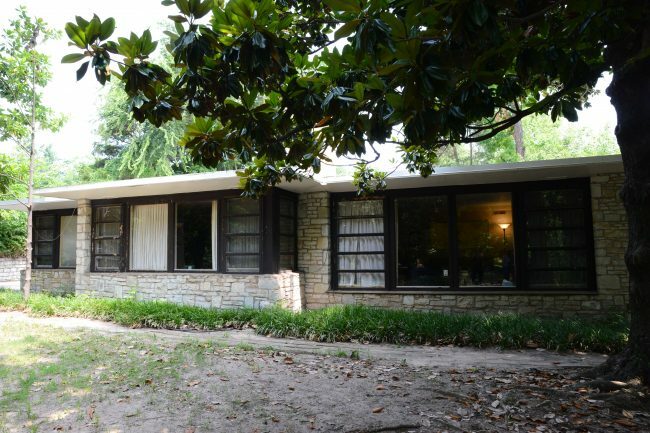 Architects Soloman Andrew Layton and S. Wemyss-Smith were paid $75,000 to develop the architectural plans, while James Stewart & Company received the construction contract. 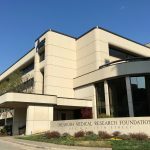 The building’s exterior is constructed mainly of Indiana limestone, with a base of local Oklahoma pink granite, and Oklahoma black granite for the grand staircase. The interior prominently features marble as well as fixtures from a variety of sources. 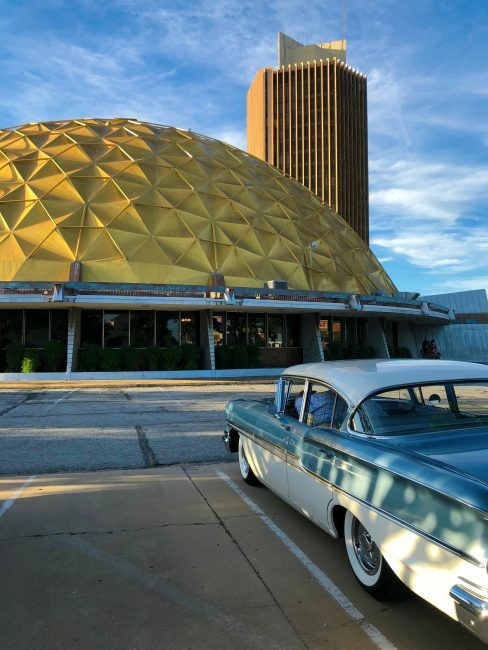 While original plans called for a dome, it was omitted due to cost overruns discovered in 1915 when the original $1.5 million appropriated by the Oklahoma Legislature proved insufficient to fund the additional structure necessary to support and construct the dome. 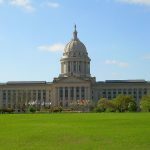 In 1998, state legislators and the governor enacted legislation to create the Oklahoma Centennial Act, which formed the Oklahoma Capitol Complex and Centennial Commemoration Commission. The commission worked to fund a dome for the Oklahoma State Capitol and construction of the dome began in 2001 and was completed in 2002. 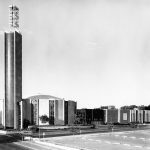 Design of the dome was completed by architects and engineers, Frankfurt-Short-Bruza Associates, PC. It included a 22 feet (6.7 m) bronze sculpture called The Guardian. 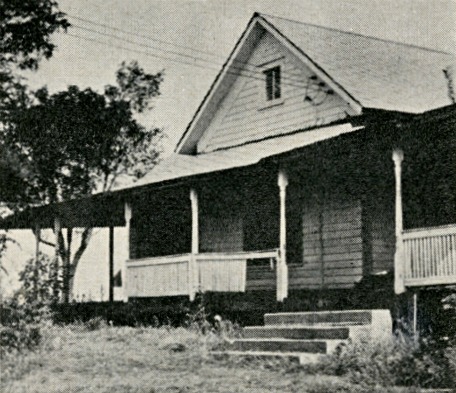 The original building was completed on June 30, 1917.